There are now almost 4 billion email users worldwide. The number of business emails sent and received is expected to be more than 319 billion in 2021. For B2B audiences, email ranks third amongst the most influential sources of information (The first two were found to be colleague recommendations and thought leaders). 49% of companies use email automation in some form or another. Emails with video clips can spike up click rates by 300%. The ROI for email marketing averages at 3,800% or an average of $38 return for every invested dollar. The best day to send emails is on Tuesday, at 10 am or anytime between 8 pm to midnight. The conversion rate for opened emails on computers is the same for males and females. However, the female conversion rate is higher on tablet devices, whereas male conversion is higher on mobile phones. 72% of young adults (18 to 24-year-olds) say they prefer opening emails on their phone. In the US, 30% of customers who subscribed via email have purchased from the brand they subscribed to. As compared to other types of emails, welcome emails generate 320% more returns. 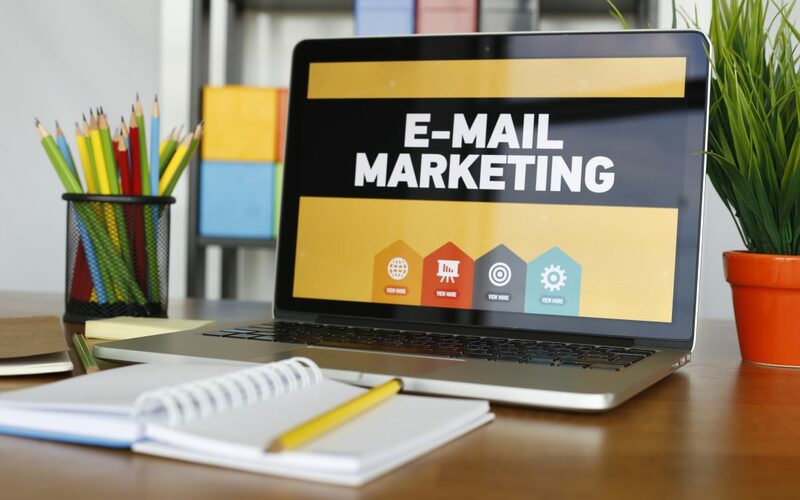 According to QuickSprout, people who subscribe via email are 3 times more likely to share your business content on their social media compared to other customers. 77% of customers open emails solely because of the discounts offered. Emails with personalised subject lines have a 29.3% higher open rate. 68% of recipients mark an email as spam based on the subject line. Emails with graphics have a 26.89% higher open rate and 4.36% higher CTR. Targeted emails are 3 x more likely to bring in revenue as compared to non-targeted emails. Non-profit organisations face an annual loss of approximately $15,000 because their emails are filtered to the spam folder. 45% of all emails sent are spam. Mostly, it’s promotional/advertising spam. Spam affects businesses. In fact, it costs businesses approximately $20.5 billion every year in terms of reduced productivity and technical expenses. Segmented emails have a 14.32% higher open rate than non-segmented emails. Click-through rates are 100.95% more for segmented campaigns. 51% of marketers agree that email segmentation is the most effective technique for personalisation in email marketing. Demographic segmentation is the most preferred form of segmentation for business. As of late 2018, the number of mobile email users is expected to reach 2.2 billion. 49% of all emails sent are opened on a mobile device. As smartphone users increase, this number is likely to rise too. According to Blue hornet, 80% of users are likely to delete an email if it isn’t mobile friendly. Mobile emails can account for 20-75% of email open rates for different businesses. If an email is opened on a mobile device and again reopened on another device, the potential for the click-through rate increases up to 65%. Zymplify offers a visual heat map report for each individual email sent from the platform. The report shows which links in the email were clicked as well as the actual individual who clicked on which link. Create targeted email lists based on these clicks for future marketing.